Lucie, wife of my dear friend Charlie and a dear friend herself, died in December 2014. 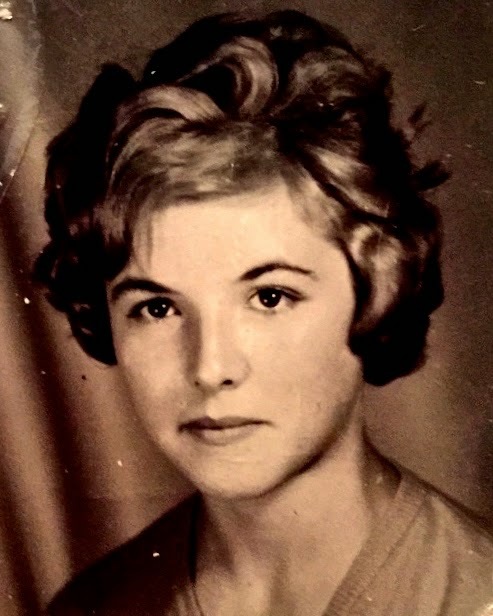 She was the most lovely and charming person, strong and determined and a good businesswoman; but also a wonderful mother, grandmother and homemaker. I was honoured to give this eulogy at her Memorial Service in Droxford Church on 19th April 2015. Lucie was born Marcelle Louise Othon at Cursan near Creon on 24th November 1942, one of seven children to Maurice and Georgette Othon. Her father, who composed music, died in 1966 and her mother in 1992. Lucie had three brothers, Michel, Francois and Andre (‘Prosper’), and four sisters, including Therese and Mireille. Two of her sisters died young, one at six months and another in 1965, and Lucie’s brother Michel also died, in 1998. Lucie had a conventional schooling and then studied dressmaking. So good was she that she became a pattern cutter at the Bordeaux atelier of Ted Lapidus, a fashionable Paris couture house of the 60’s and 70’s, and she lived in a flat on Rue Bouffard in Bordeaux. Charlie meanwhile was learning the wine trade in Bordeaux with the Ginestet’s, the family who then owned Chateau Margaux. One spring day in 1967 Charlie was driving in his MGB Roadster when he pulled up at the lights on Cours Georges Clemenceau alongside Lucie and Therese. They were in a Renault Floride cabriolet, wearing scarves to protect their bee-hives, and he chatted them up. And although Charlie hardly needs any help, he had a doctor friend in his car who knew the girls, and by the fourth set of traffic lights, both had secured a double date with Lucie and her sister. 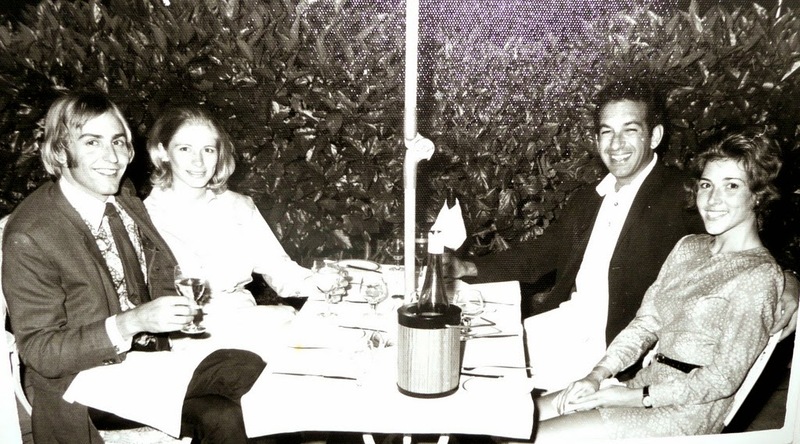 During their courtship, they visited bars and vegetable markets – and night-clubs - notably Chez Jimmy – and La Chevriere - where they danced to ‘A Whiter Shade of Pale’ - and never looked back. Later on in their courtship, Charlie managed to run out of petrol on the way back from the beach and sent Lucie hitch-hiking to get some while he stayed and listened to 24 Hours Le Mans on the car radio. So romance soon took its predictable course! I was lucky enough to meet Lucie that summer, when I was lent a flat in Florence for a month and called on my friends to come out and join me. Johnny Cooke and the late Tim Boycott raced out with girlfriends and Charlie arrived with Lucie and a tent which he pitched in a wood near Livorno, only to be rudely woken on Sunday morning by the locals moving through the wood shooting at anything that moved. Obviously they kept their heads down! 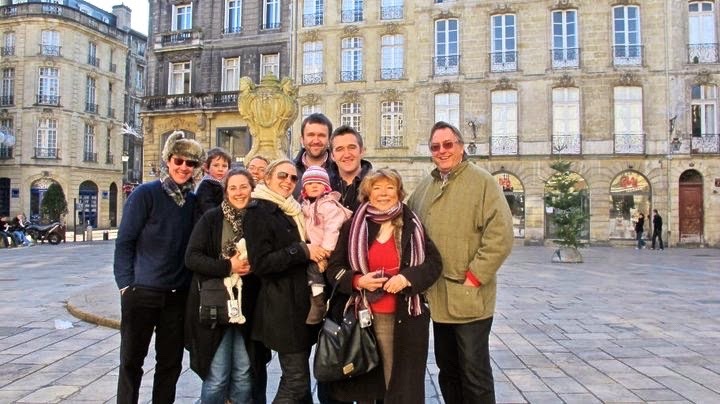 When Charlie’s time in Bordeaux came to an end, Lucie came with him back to England where initially she got a job as au pair with the Chapmans in Farnham, where she was very happy. After that she had a less amusing time looking after some spoiled brats in Ealing with the Titcciatti family. Charlie was then in London working with Freddie Price of Dolamore and pursuing his career in wine and so Lucie took a job at the fashionable leather shop Cordoba in Bond St, and later at Gucci and moved into Charlie’s flat over Dolamore in Paddington Green. Charlie and Lucie got married in this church in Droxford on 12th July 1969. Lucie naturally made her own wedding dress and those of her bridesmaids. Afterwards they honeymooned in Corsica. Then, through Prue, who had arrived in London to do the season and who had hooked up with me through Nick Duke’s cousin Frances, they met John Rendall – of ‘Christian the Lion’ fame – (and who is here today) and through him became interested in working in Australia. Charlie and Lucie duly sailed for Australia in the summer of 1970 on a Messagerie Maritime paquebot, which they caught in Marseilles. Prue and I drove them down and put them on to the ship. Landing eventually in Sydney after calling at places like Guadeloupe and the Marquesas, Taihiti and Moorea, Vanuatu and Noumea , they stayed for a while with Arthur Johnson; Arthur then being Prue’s father’s accountant and soon to marry the same Frances (Duke). Lucie then worked at dressmaking in Double Bay while Charlie took a job in Arnott’s biscuit factory, but their first job together was managing a pub in Melbourne – ‘Hatter’s Castle’ in South Yarra - and later a large restaurant in a chain called ‘Peanuts’. It was there that Lucie’s commercial cooking career began as they lost a chef without notice and, in what was to become her typical style, Lucie took over. And they soon started their family. In fact when Prue and I got married in Sydney in December 1971, Lucie was only a couple of weeks away from having Naomi, who was born in January 1972. At Cobbetts, Lucie took charge of the kitchen, working alongside and managing the chefs and choosing the menus. In the interregnums between chefs or when they simply didn’t turn up, Lucie of course took over the cooking herself. She had a natural talent for cooking and developing the French regional recipes she had learned from her mother. Her dishes became famed locally and earned the restaurant high marks in the Good Food Guide and other publications. Her ‘soupe de poissons’ and virulent ‘rouille’ stood out, as did special ‘soirees gastronomique’ and private parties. 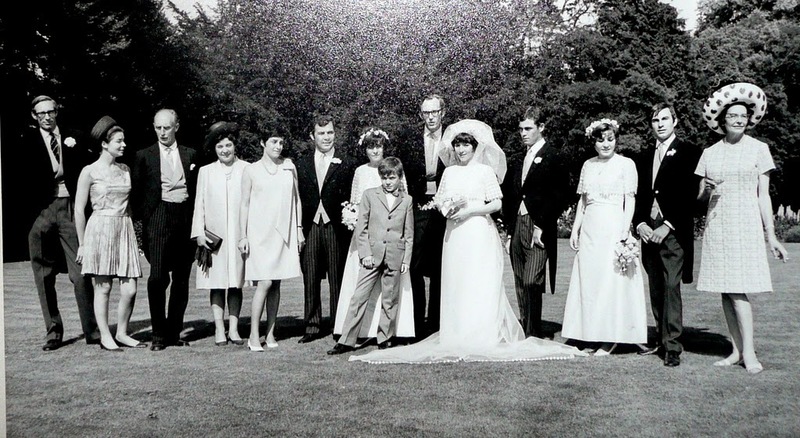 It was 1974 too that the Skipwith family moved from Studwell Lodge to Greywell and Lucie (and of course Charlie) found themselves managing the restaurant, looking after their own family and increasingly also Charlie’s parents as they got older. 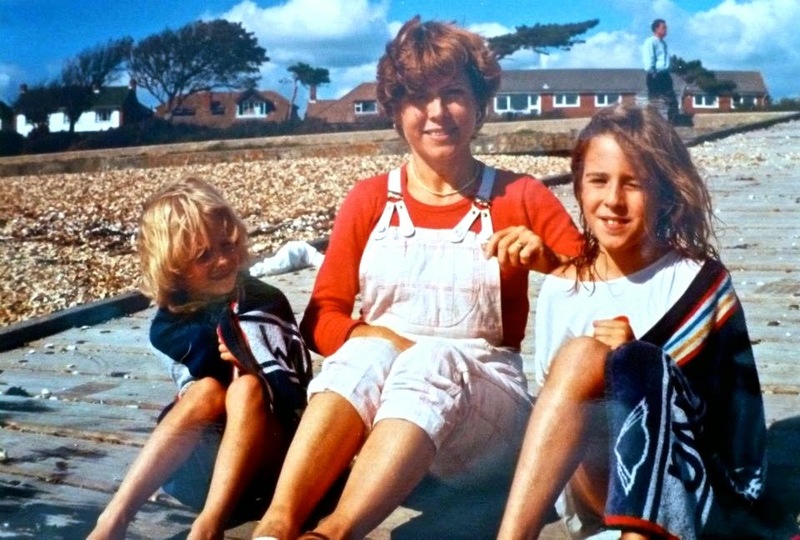 The children, now consisting of Naomi, Alissa (1975) and Georgie (1979, went to Mrs Barber’s at Hill Head, the late and somewhat lamented Rookesbury and then to St Swithun’s. There was an enormous amount of driving for both of them in those years. Once she broke her knee in a car accident and was in plaster for some time, but that hardly slowed her down. They had help on occasion from her brother Prosper who became an honorary Brit just as Lucie had herself, and for a while they employed the marvellous Nanny Reid, who helped look after most of our children in the 70’s, but Lucie’s incredible energy and dedication became evident to all who knew her. She used to organise bike rides along the Hamble and picnic trips to the sea. She also loved camping, despite her early experiences with Charlie in Italy, and would set up camp anywhere. She wasn’t one to stick to the rules, nor was she interested in things you had to buy. She always thought that doing things yourself brought you more valuable experiences. Lucie was faced with some difficult situations in the restaurant when Charlie was away. Once she had to fight off a thief during the lunch service by spraying him with a fire extinguisher and then holding him up with an air pistol. Apparently the thief said to her ‘That won’t hurt’, to which she replied, ‘That depends on where I shoot you!’ On another occasion two enormous drunks came into the bar fighting and started breaking the place up and there was even blood on the walls. Naomi called the police while Lucie chased one of them out through the kitchen shouting at him in French, which probably terrified him more than anything! Then in 1989 a friend, Dr Milligan, who had acquired a double-decker bus to take to race meetings, allowed Charlie and Lucie to become part owners and extend their business by fitting it out as a mobile restaurant and serving lunches to the likes of De La Rue on the rooftop tables. In 1984 they visited Twickenham and took the bus to Le Mans with Spice Racing. They enjoyed it so much that in 1996 they acquired a much bigger vehicle, an American Motorhome, to cater to the race teams such as GTC Gulf McLaren at events throughout Europe. They developed that business so well that by 1995 they sold Cobbetts, and took on full-time race meeting catering until 2003. This was even harder work than the restaurant, with the cooking being carried out under testing conditions, for instance at Le Mans when the drivers and pit crew required feeding at 2am and again at breakfast as well as throughout the day for ten days at a time. Lucie was quoted in a Sunday Times article as saying ‘They want it and they want it fast!’ They used to feed 84 people at 12 tables of seven under an awning erected on astroturf with fresh flowers on each table. The girls all helped in their holidays and the family lived in the motorhome with a kitchen trailer behind, but Lucie loved watching the start of each race. In 2000 they sold up in England and moved to France. In 1988, at Lucie’s request, her brother Prosper had found them an old farmhouse, Le Cros, about ten miles from Creon where she had grown up. It was a day’s drive from the Channel ports, three hours from skiing and two hours from the beaches and 20 mins from Lucie’s mother. Charlie and Lucie developed this into a lovely family home and when they moved to it full time in 2000, they ran it as a B&B, where Lucie could also give cooking lessons. This proved very successful and they were often full, with cycling tours and numerous individual guests. She had developed an amazing ability to whip up a superb meal in next to no time whether the guests arrived at 9pm or 2am, and her cooking lessons, when she would also take guests to the local market to buy the ingredients, were much prized. 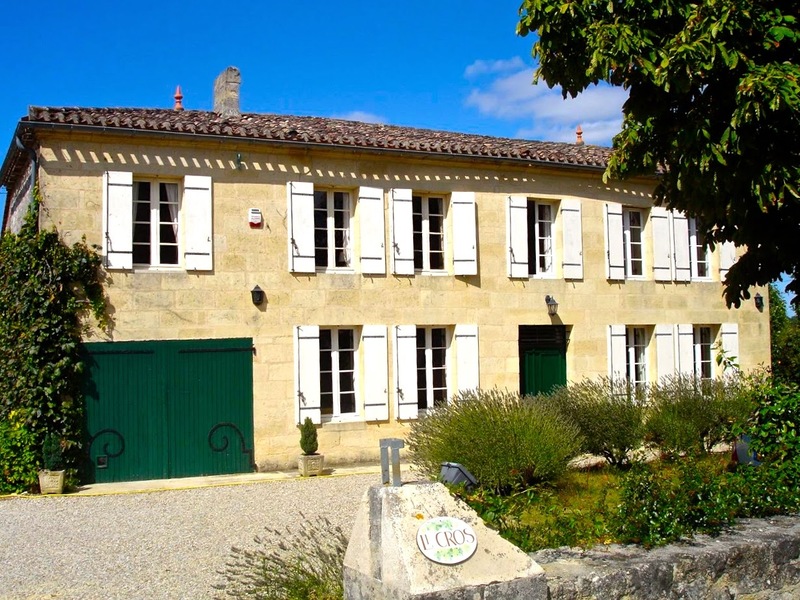 As well as the B&B, Le Cros was indeed a lovely family home. 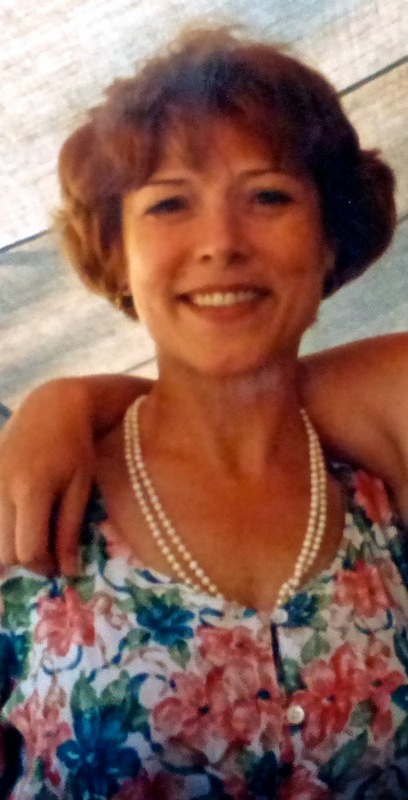 Lucie was the perfect homemaker, her energy and determination creating a wonderful warm environment for the family. She was brilliant at home renovation and was very creative – and she did as much as she could herself, hating to call in help. She was ‘debrouillade’ - meaning that she was always naturally inventive and resourceful. Not only did she make things like curtains and cushions, but when Naomi and Georgie got married, she used her dressmaking skill to make their wedding dresses and the bridesmaids dresses. Naomi had married Nick here in Droxford in 1999, while Georgie married Simon in France in 2007. Simon’s first introduction to Lucie was a blind foie gras tasting – two bought-in and one of hers - which fortunately he passed, otherwise he would have had to face the ultimate challenge - a plate of ‘Lamproie a la Bordelaise’! Both Nick and Simon adored her and fitted perfectly into the family, and many happy times (usually most of each August and many Christmases) were spent all together at Le Cros where Simon’s skill at mixing margaritas was frequently called upon in the tasting room. In 2005, Naomi and Nick had her first grandchild, and Lucie became an adored grandmother to Freddie and then to Florence, born to Georgie and Simon, followed by William in London and Henry in New York. Lucie was indefatigable with her grandchildren and came and helped look after them when ever she could – and in the case of Georgie, thrice dropped everything when nanny arrangements fell through and spent weeks in New York and she even found time to make yards of bunting for Florence. She embraced American culture and food and was even seen tackling a ’15 bite hot dog’! She was also able to indulge her passion for art and culture and was an avid lover of opera. She used to spend at least 15 minutes at each of her favourite paintings at the Museum of Modern Art. 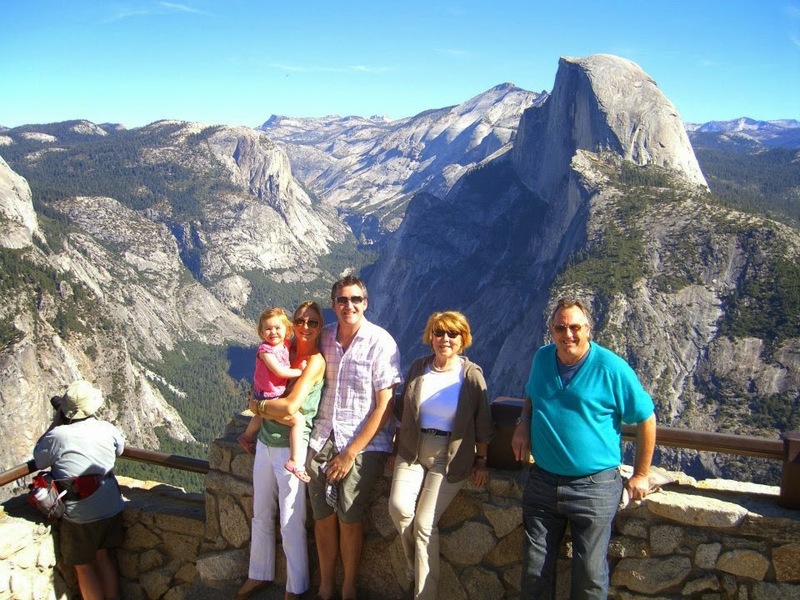 One visit in 2011 included a wonderful tour of the West Coast with Charlie as well, and many wonderful photos exist of the family moving about in huge white ‘SUV’ and taking in all the great sights. Of course, there were also many holidays spent skiing with family and friends – usually at La Clusaz - where they went for more than twenty years. Lucie was a good and enthusiastic skier and enjoyed the break from cooking. She and Charlie also went on several sailing holidays in Greece and Turkey. In 2007 Lucie suffered a serious illness, and although she recovered and carried on working as hard as ever, her immune system had been seriously weakened. In the last couple of years she and Charlie had decided to wind down their strenuous daily B&B activities and let the house out as a whole for a week or longer while they themselves lived in the ‘gite’ and took things a bit easier. She had become a keen gardener and Charlie constructed four large ‘potagers’ for her herbs and vegetables, while she herself worked in the greenhouse far into the night pricking out seedlings, with her radio playing classical music beside her. Lucie also found time to be very interested in history, particularly English history (which perhaps is explicable by the fact that she came from Aquitaine…). In fact she loved the English way of life such as pubs and the Sunday papers.and was looking forward greatly to spending more time in England following Nick and Naomi’s purchase of their house in Bishop’s Waltham. But sadly she fell ill early last year and on her last visit here in August/September she was already very unwell. Charlie took her back to Le Cros and then to hospital in Bordeaux and visited her daily with great devotion. Naomi, Alissa and Georgie joined Charlie as often as they could but had to watch helplessly as she declined from a combination of intractable diseases that her weakened immune system couldn’t cope with. Lucie’s funeral was at Cursan, the setting of her childhood, on a bright December day. The event was beautifully managed and in addition to her sisters Therese and Mireille, her brother Francois , Prosper and their spouses and children, the village and many friends attended. It was a traditional service very like the one we are having here and her close friend Nicole, who has come over for this one, gave a beautiful address. Following the church service, Lucie was cremated in Bordeaux and we were all greatly moved when the music included an echo of Charlie and Lucie’s courtship when ‘A Whiter Shade of Pale’ was played. Despite the tragedy of her early death, her funeral was not all somber. There was a short delay at the beginning as one of the drivers of the cortege went off with the keys of the hearse in his pocket; leading some to smile at Lucie (who was always late for everything) being late for her own funeral. There was also the case of the posthumous speeding tickets on Lucie’s Renault Clio, which Charlie was about to send back to the authorities with a sharp note, before Simon owned up to having made a rather swift run in it up to St Emilion and back. Lucie had also posthumously acquired three points on her licence, leading to the thought that if Simon had done much more driving, she might have lost it altogether. Four months have passed since Lucie died and we have come together here in Droxford to honour and celebrate her life and memory. And although that time has passed, it’s still difficult to realise that she’s not still with us. She was much loved by everyone and her determination and energy was greatly admired by those who were close to her. She was completely devoted to her family but extended her love and care to all those around her. From a very young age I used to watch my mother and wonder how someone could always be so thoughtful of others all of the time. Just the small things like always making sure everyone else was taken care of first, serving out the best to others and making do with whatever was left for herself. She was always trying to make sure that everyone was happy. It was something I used to watch carefully from a small child's perspective on life and felt so lucky to be so loved. I think that is my abiding memory of Lucie too, as the completely unselfish centre of one of the happiest and most united families I know.